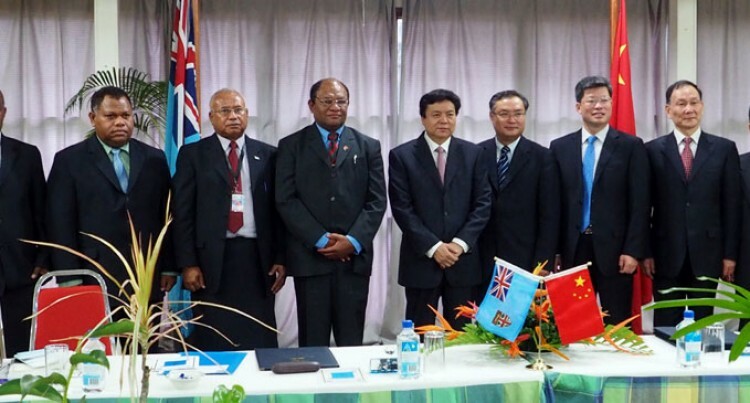 Fiji and China’s bilateral ties were further strengthened yesterday. This after a Memorandum of Understanding was signed that would help build closer ties and create new opportunities between Fiji and China in the forestry sector. The agreement was made by the State Forestry Administration of China and the Ministry of Fisheries and Forestry. Minister for Fisheries and Forests, Osea Naiqamu, said the undertaking would contribute significantly to Government and Fijians. “This is a new beginning for the forestry sector, especially a nation as China, and we are really proud,” he said. The Chinese Minister of State Forestry Administration Zhao Shucong, said the signing would set an example to other sectors and allow future co-operation’s where the two countries can gain experiences from and learn from one another. The signing was held at the Southern Cross Hotel in Suva. Mr Zhao said it was a starting point for both countries. It will enable both parties to share experiences of Fiji’s forestry developments..